Schalamar Creek is one of central Florida’s finest golf courses. Nestled next to Saddle Creek, golfers can enjoy Florida’s natural beauty and see Florida wildlife while playing a round. Schalamar Creek also manages multiple properties in the surrounding area for residents who want to be closer to nature. Managing a golf course and the surrounding properties involves a lot of paperwork. Storing that paperwork in file cabinets is not secure, does not protect them from disasters and does not lend itself to easy document retrieval. Online document management systems by design, not only provides document storage, but also offers rapid and accurate document retrieval. Further, by storing these documents offsite in a secure data center, the documents are safe from disasters. Given that Florida is in the heart of the hurricane belt, offsite secure storage protects documents from disaster and enables organizations to access documents even in a worst case scenario. Losing properties to a disaster is bad enough. 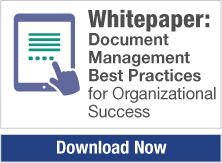 Being unable to produce documents needed to recover from a disaster adds insult to injury. This is where rapid retrieval becomes even more important. Our management systems enable rapid document retrieval because the documents are indexed by type, user defined data and even the contents of the documents. Users can then search on any combination to easily find their documents. Property management company documents include purchase agreements, contracts, leases, accounting information and service agreements, just to name a few. By indexing the documents by property, customer, vendor, and other relevant information, finding documents is never more than a click or two away.